More than three years ago, I explained why I was boycotting Facebook. Yesterday, I joined Facebook. 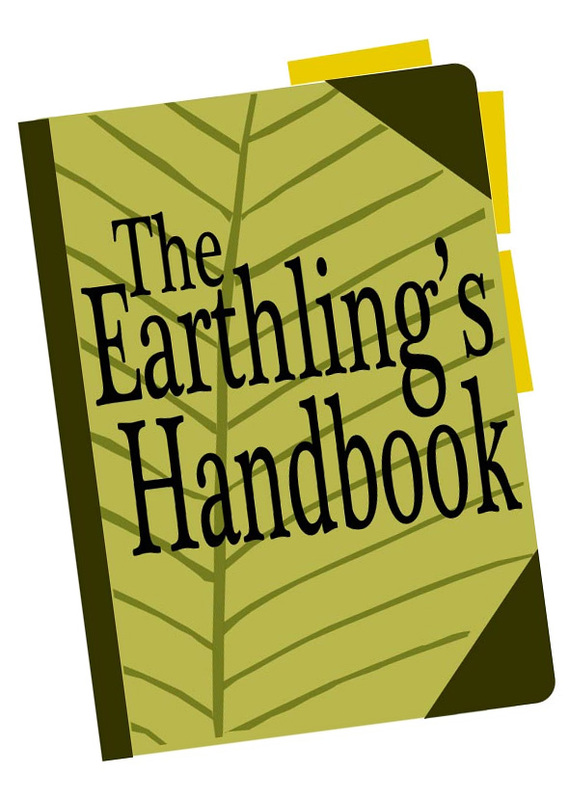 My intention was to join as The Earthling's Handbook, but Facebook immediately responded, "You have to join with your real name! I'm the only book allowed here!" so I joined with my own name but used The Earthling's Handbook … Continue reading Oh, all right. But they didn’t Book my Face! Liebster Award: 11 Great Blogs! Pary Moppins nominated me for a Liebster Award! I am honored to be recognized by this perfectly practical blogger who offers such tips as a mnemonic for teaching kids to set the table and 20 very useful kitchen tools and how to make smelly shoes smell better. The funny thing is, when I received a … Continue reading Liebster Award: 11 Great Blogs! Should I start using Pinterest? I am seeking the opinions of my readers! Please comment! Over the course of this year, I've browsed other people's Pinterest boards a number of times, and I've seen a small but increasing amount of visitors to my site coming in through links on Pinterest. I read more about Pinterest in my college alumni magazine … Continue reading Should I start using Pinterest? Win a FREE e-book with over 800 helpful tips! UPDATE: Both give-away copies have been won, but you can still buy the e-book by clicking this button: This isn't really a blog, and I've never run a give-away before, but I can't resist the opportunity to give away two free copies of the new e-book That Works For Me! This book compiles the best … Continue reading Win a FREE e-book with over 800 helpful tips! The e-book That Works For Me! If you've ever clicked on one of the links that say, "It works for me!" in many of my posts, you've found the wonderful blog carnival Works-for-Me Wednesday, where every week about 200 writers each link an article about something that works for them. (Here are the instructions for participating in Works-for-Me Wednesday.) This delightfully … Continue reading The e-book That Works For Me! Liebster Blog Award: 5 Great Blogs! Despite my occasional protestations that The Earthling's Handbook is not really a blog, it has received a Liebster Blog Award! I will set aside my feelings about the yucky-sounding word "blog" to graciously accept this award and acknowledge that at least one-third of my readers have come here via weekly blog carnivals to which I … Continue reading Liebster Blog Award: 5 Great Blogs! Where’s the Facebook “like” button? This question was asked of me in a spam comment, but I thought it was worth addressing. As best I can tell, in order to have a "like this on Facebook" button on a WordPress site, I would have to have a Facebook account. I am boycotting Facebook. I tend to be skeptical of anything … Continue reading Where’s the Facebook “like” button?